Shepherd Heery is Brookwood's Chairman and Chief Executive Officer. 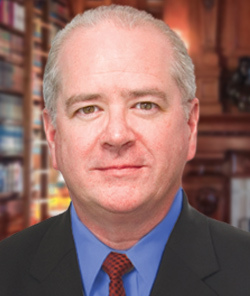 He is one of the three co-founders of the firm and has served as a member of Brookwood’s Board of Directors since the firm was established in 1989. Shep also serves as co-principal of the brookwood|evolve joint venture, a strategic business relationship that Brookwood has had with Los Angeles based evolve real estate LLC since 2015. His co-principal in that partnership is Chris Fraley of evolve. Shep’s experience as a developer, architect and construction program manager for private and public sector owners spans four decades. He has extensive management, leadership and marketing experience, especially in the realms of high-rise office and residential developments, encompassing all aspects of the development process. Shep has been in his current role at Brookwood since mid-2013. He also previously served as Chairman/CEO of the firm from 1989-1997 (when it was known as Satulah Group). In 2009, when he returned to the firm as an employee, he became Brookwood’s President, again becoming CEO in 2010, and Chairman/CEO in 2013. At Brookwood, Shep has served as the Senior Principal for client relationships including Salesforce, the City of South San Francisco and Cal Poly. He also has led the firm into recent opportunities as a principal developer/investor. From 2002 through early 2009, Shep served as Senior Vice President of San Francisco based Myers Development Company where he had overall responsibility for implementing the firm's development and construction activities. From 2000-2001, Shep was employed with Tishman Speyer Properties as the Director of Development in San Francisco where he and his colleagues secured planning and zoning approvals to develop the 33-story, 650,000 square foot office tower at 555 Mission. He and others initiated the environmental review process for four residential towers in San Francisco. Two of those towers have been completed by Tishman Speyer and are known as The Infinity. The remaining two towers are currently under construction and are known as Lumina. 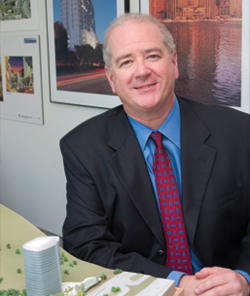 At Satulah Group, Shep guided the growth of the firm from 1989-1997. In 1997, he negotiated the sale of Satulah's corporate real estate project management, facilities management and software units to LaSalle Partners, predecessor to Jones Lang LaSalle. In conjunction with the sale, Shep joined Jones Lang LaSalle where he worked for two years in a multi-disciplinary marketing capacity. At the time of the sale to LaSalle, the company's name was changed from Satulah Group to Brookwood Group. Shep remained on Brookwood's Board of Directors. From 1982-1989, Shep was a Project Manager with Gerald D. Hines Interests, responsible for the development of several high-rise projects in Oakland and San Francisco. While at Hines, he coordinated and closed a number of transactions, the largest of which involved an ownership interest in 101 California Street. Prior to Shep’s experience at Hines, he was a practicing architect and construction program manager in Philadelphia, Atlanta and Aspen, Colorado. Shep holds a Bachelor of Architecture degree from Cornell University and a Master of Business Administration from the Wharton School of the University of Pennsylvania. He also attended summer sessions at the Harvard Graduate School of Design and at University College, Oxford.